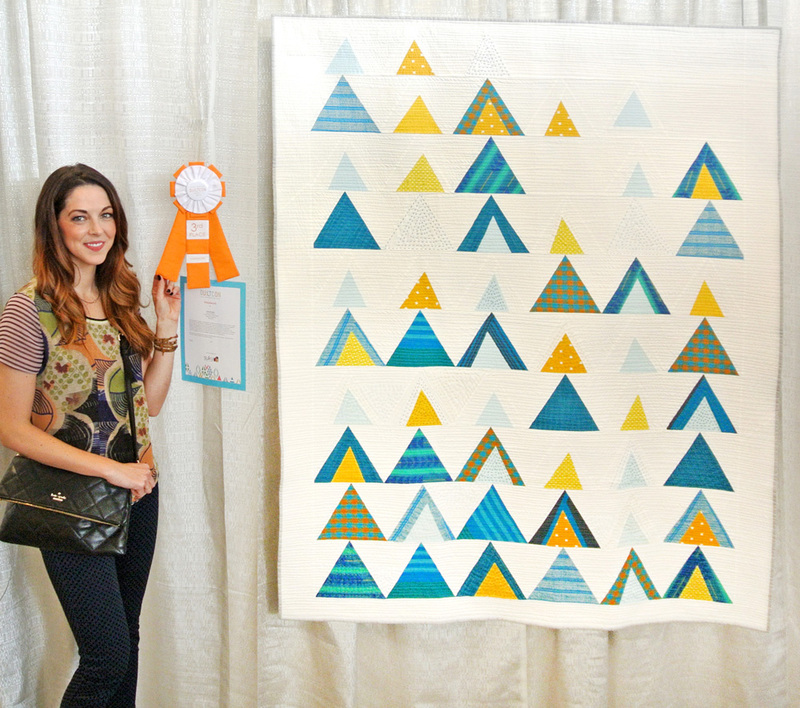 2016 was my first time entering QuiltCon and also my first time winning an award – 3rd place in the Hand Sewing category. Technically, it was my only time winning an award at QuiltCon. The problem with winning an award the first time you try something is you think everybody must win awards and it's not a difficult thing to do. Well, I haven't won a QuiltCon award since, so now I look back with more pride. Way to go, Little Suzy! 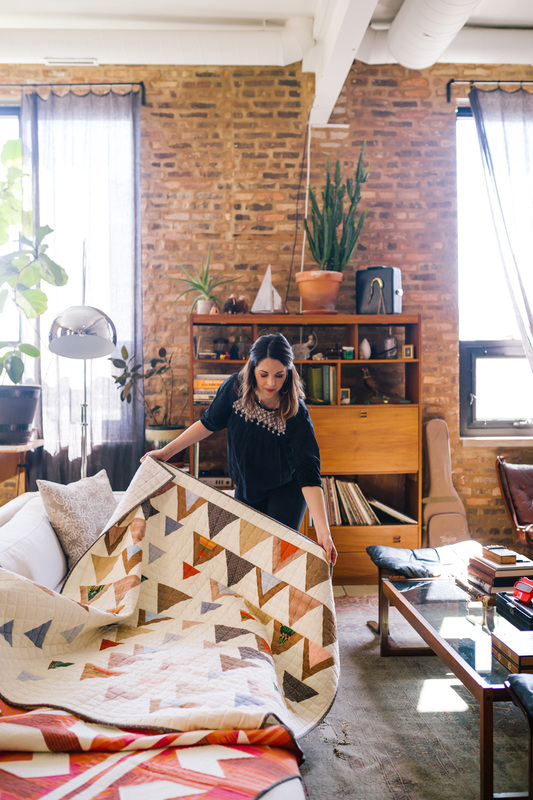 But one thing has stayed exactly the same – my love for this quilt pattern. Its versatility and flexibility has allowed it to grow with me as I have changed and evolved as an artist. 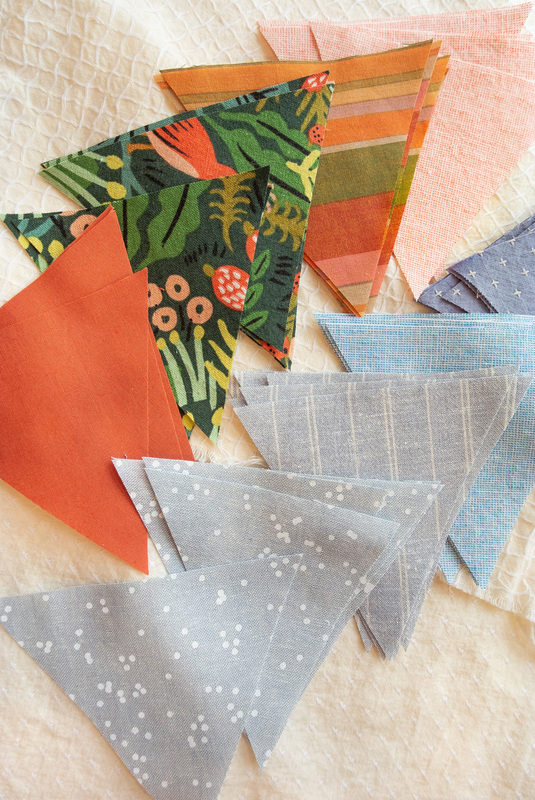 It's perfect for that fat quarter bundle you've been hoarding or a deep dive into your fabric scraps. 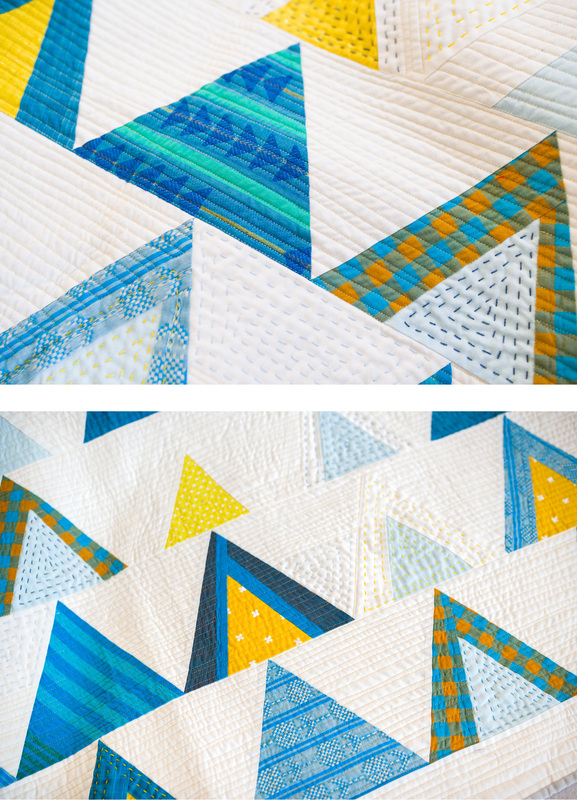 This blue and yellow version was made using both scraps and fat quarters. About six years ago one of my best friends moved to Missoula, Montana. 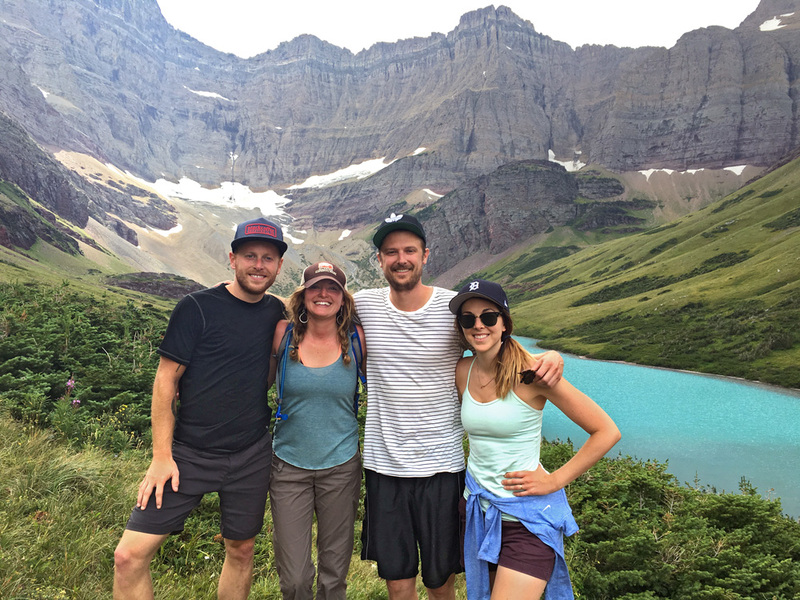 For me, the only silver lining to her moving so far away was that Montana is a beautiful place to visit. Over the years I've visited and dreams of those mountains, colors and textures are never far from my mind. Montana is one of the few places I've visited that still has a wild wilderness feel about it. I saw lots of trucks, cowboy hats and even a moose! I SAW A MOOSE! Apparently your reaction to seeing a moose should be to back away slowly. Well, where's the fun in that? Of course I just whipped out my cell phone and took photos. It completely freaked everyone out. 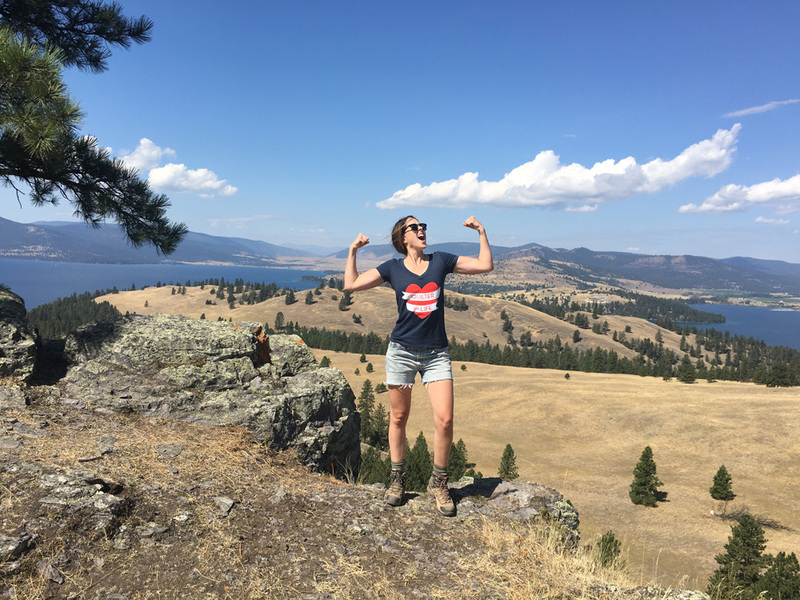 But I was in wild Montana! I had lost all fear!! Big Sky Country showed me first hand the beauty of a sunset overtaking a blue sky and mountains as far as the eye could see. I tried as best as I could to capture that in these fabrics. 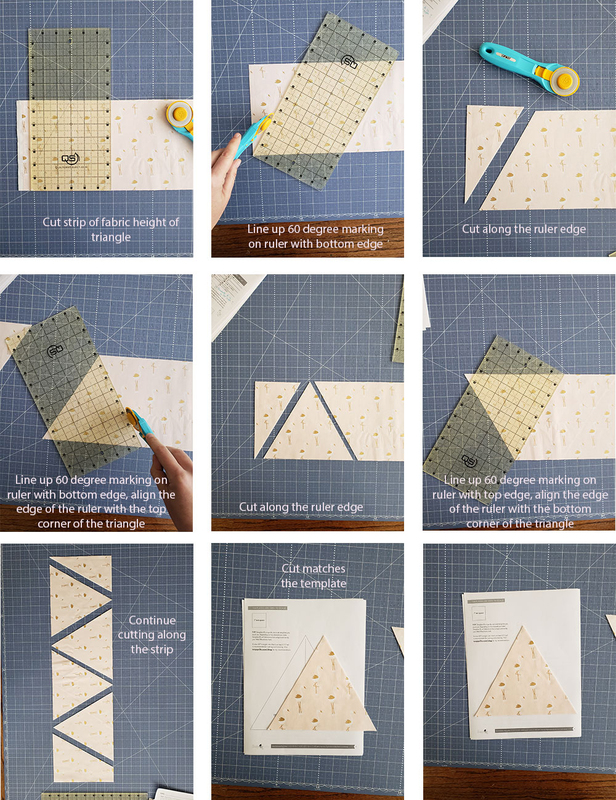 My pattern tester, Jessica Rush came up with this brilliant cutting technique in case you do not have a triangle ruler or if you aren't keen on using templates. See below! Triangles. 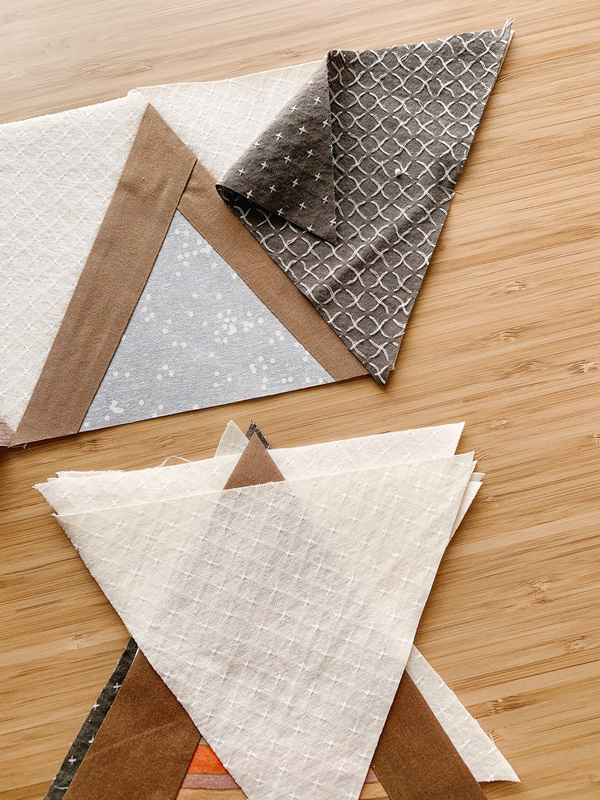 Triangles contain bias edges that stretch and corners that can fray and get eaten up in your sewing machine if you're not careful. The pattern includes cutting diagrams for each size and during the Mod Mountains sew along I'll record a video on templates and cutting. 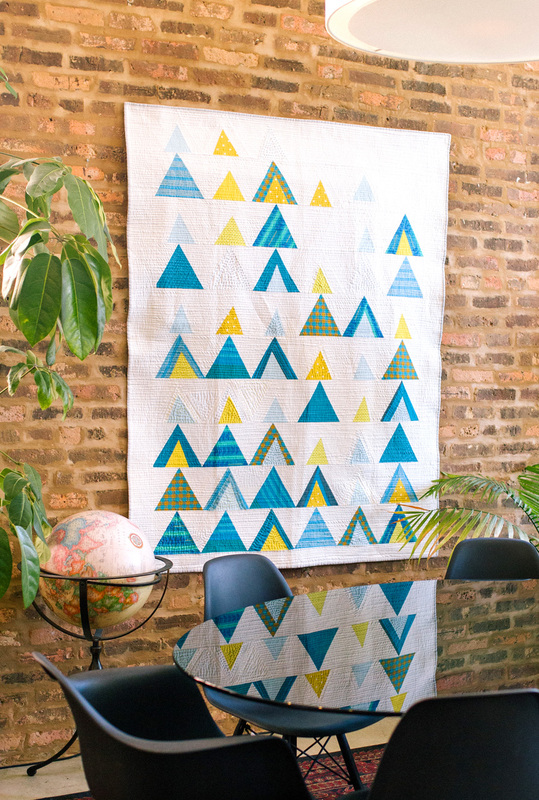 In the mean time, there is a blog post and video on cutting templates for the Bayside quilt that will help. With all that said, you can do it. 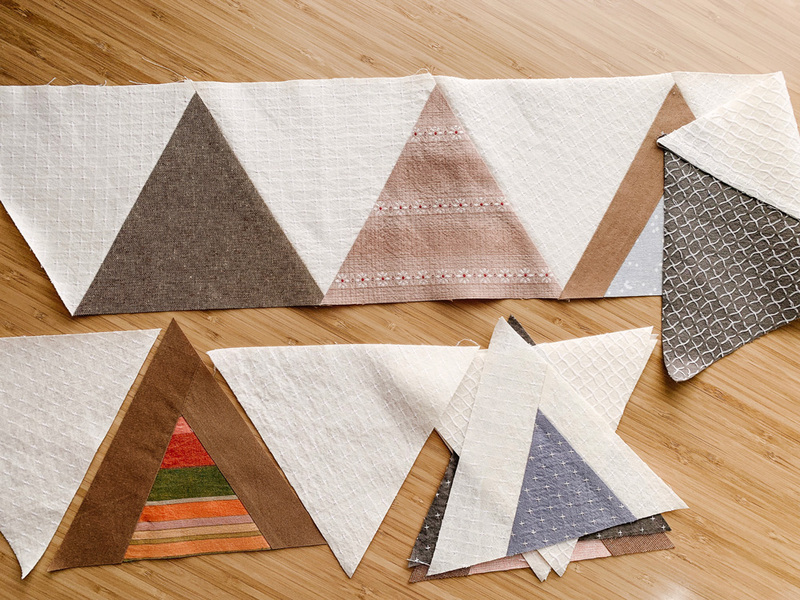 You can sew triangles successfully and come out on the other side a smarter and more skilled quilter. Ready? Let's go. As I mentioned before, this pattern is a wonderful scrap-buster to help use up smaller pieces of fabric that you can't bring yourself to throw away. Since I did that with this quilt, I'm not totally sure what some of these fabrics are, but I'll do my best. If you are interested in a FQ bundle inspired by this palette, check out Cottoneer. 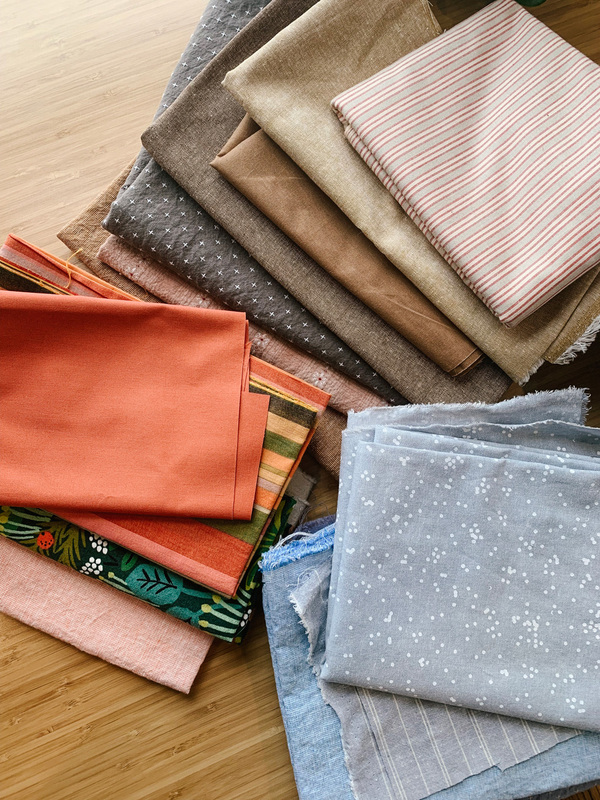 Andrea, the owner, has curated a beautiful bundle of fabric. 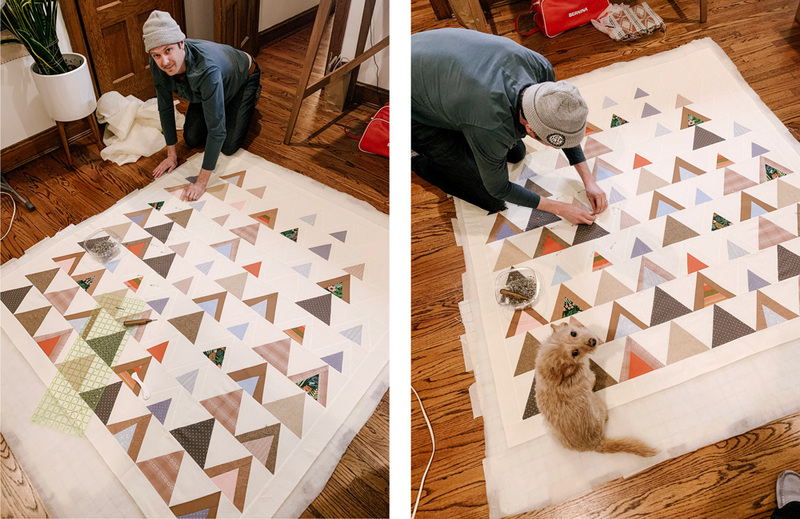 I started this quilt when I was about 35 weeks pregnant and by 37 weeks, bending down to baste was hard. My sweet husband saw the struggle and decided to play the knight in shining armor by helping out. Of course Scrap needed to help too. I wanted this quilt to be puffy, warm and extra cozy since after finishing it I planned to ship it to my Montana friend. Quilters Dream wool was the only batting that would do. Fun fact: the next two pictures were taken the day before I was admitted to the hospital to have my baby boy! 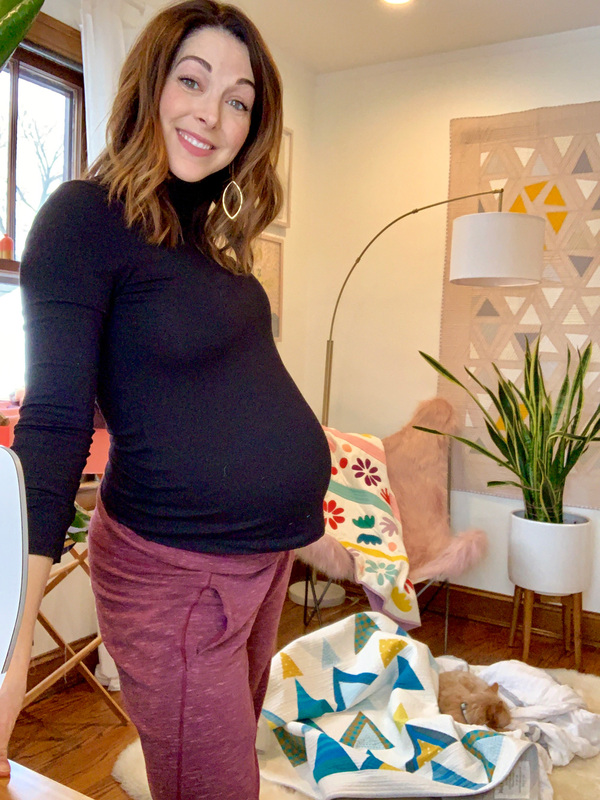 At the time I had no idea that my timeline would be sped up and I'd have a c-section at 37 and a half weeks, so I actually came home from the hospital to this exact scene at my sewing machine. 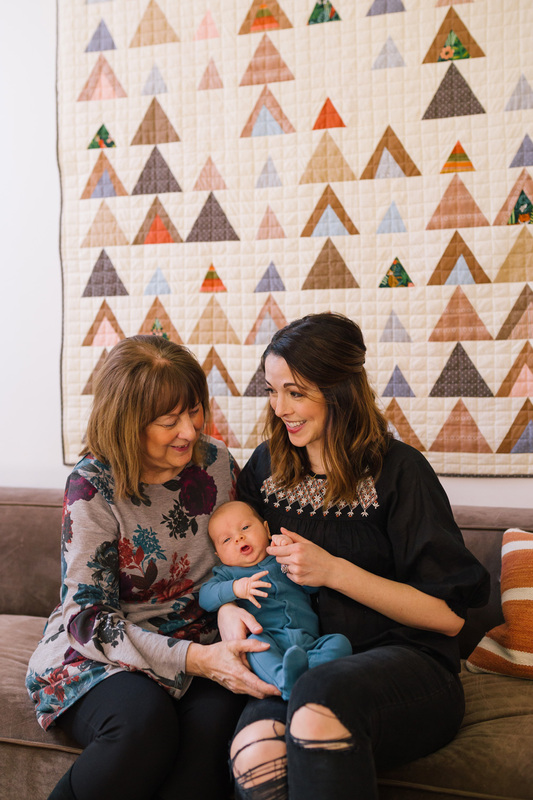 You can read all about my whirlwind birth story here. 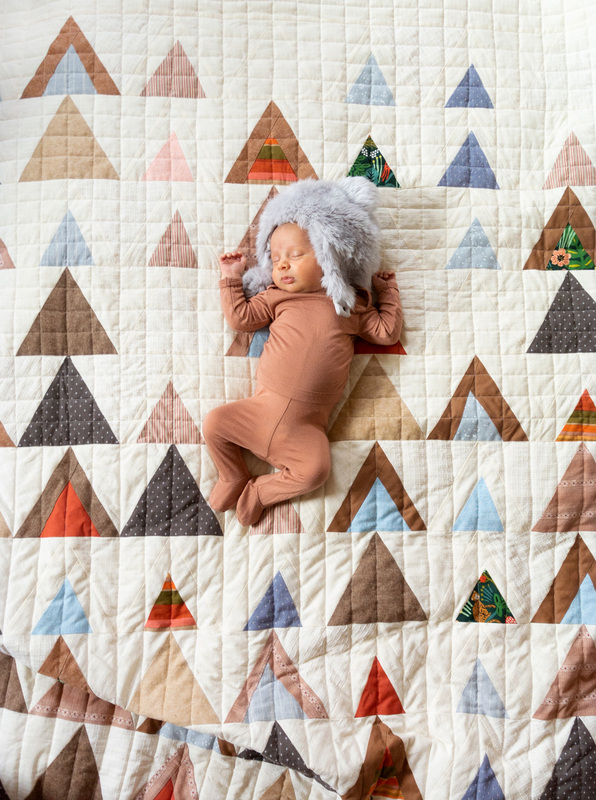 After weeks of pure, glorious baby snuggles, I finally pulled this quilt out from my machine and posed my little cub on this wild wilderness quilt. I think he blends in well. 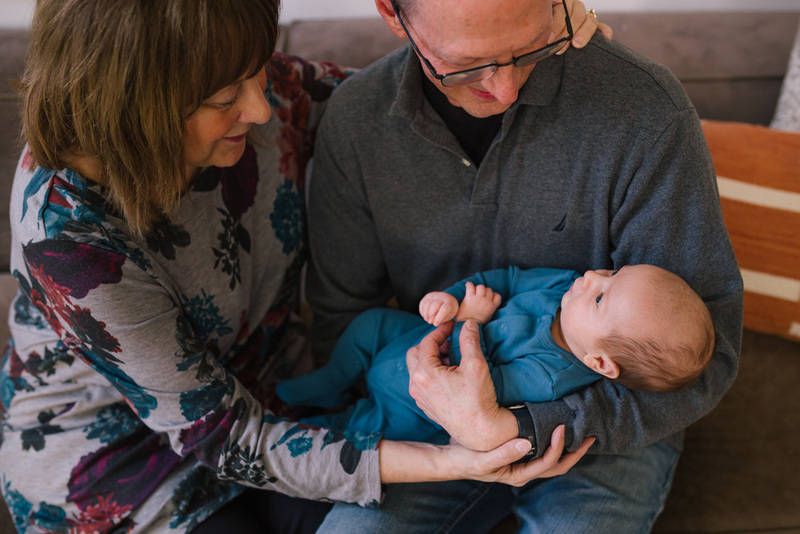 My parents were in town during this photoshoot so I made them slide in front of the camera for a few family photos. 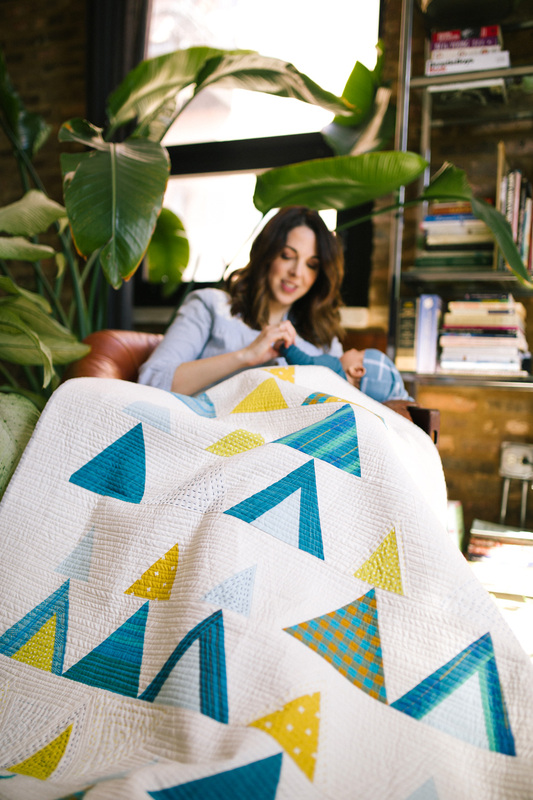 This pattern will be available in a couple days, so start gathering your fat quarters and scraps! 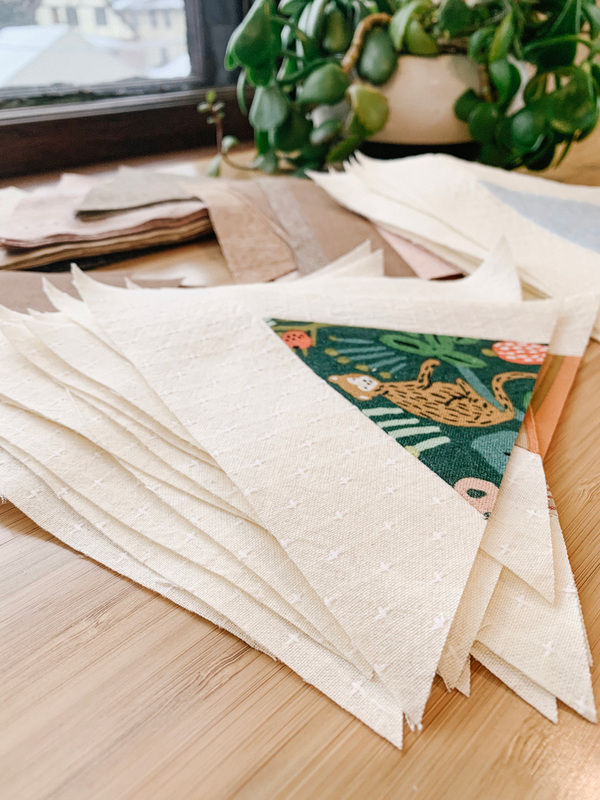 Tell us in the comments what fabrics you're excited to use! Hiya! So excited for this! I know it’s only two days away, but wanting to order some fabric. Will 1/4 yard cuts work as well? They will! 1/4 yd. cuts are perfect. And I’m so excited that you’re excited!! So so excited! Can you tell me fabric requirements to start my pull? Can’t wait to get started! 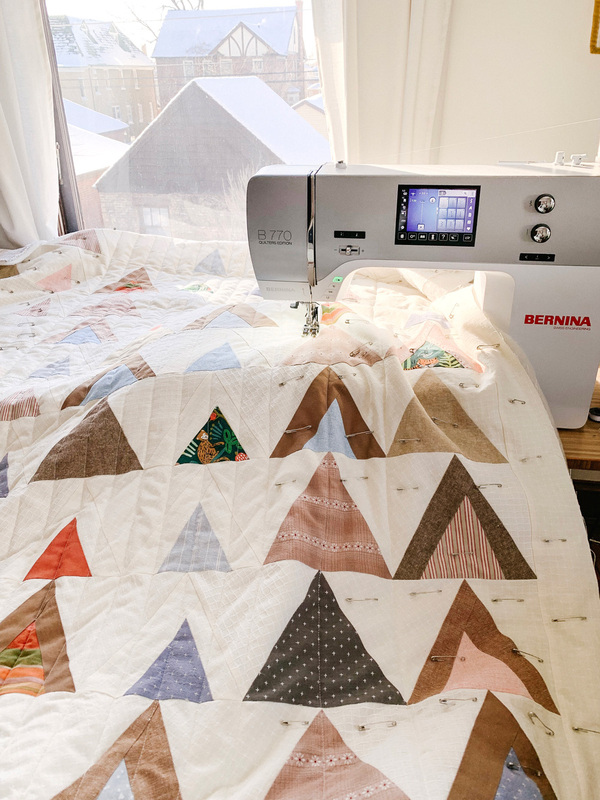 Hi sweet quilting friend. 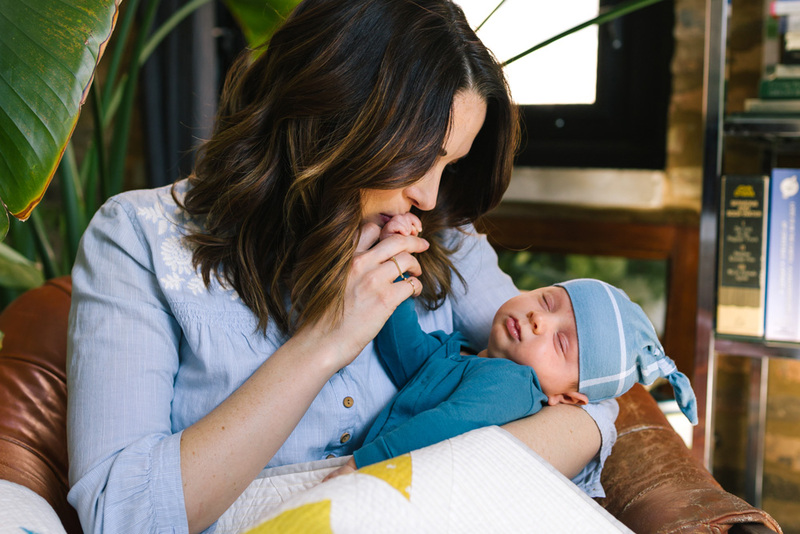 Sleep depravation is totally a thing as a new mom. I am so not a proof reader by any means. 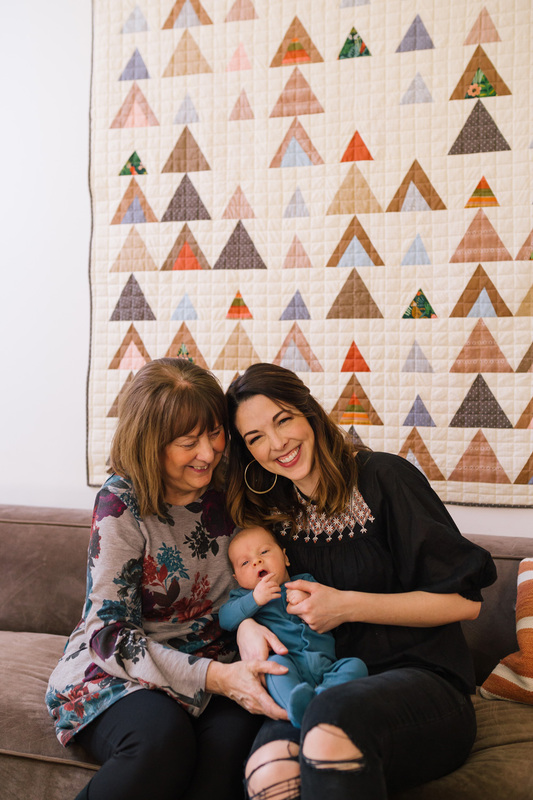 but in you post on Mod Mountains, one of your pictures of the quilt is labeled Modern Fans….your baby is beautiful and I love sewing your patterns!!!! Missoula is my fav place, so far, live 4 hrs due S in ID, it’s our monthly shopping stop! Are any of your patterns paper available? Love to do the QAL, no printer here…we’re way off the grid, electronics limited. Hey Marty! Yes, I do have some printed patterns. You can find them in various online shops, but I know fabricworm.com carries all of them. All new patterns are only available in digital format. I do that because my patterns are getting longer and longer with added illustrations, cutting charts and diagrams, which make them really expensive to print. For this pattern specifically, you don’t need to print the templates if you use the cutting technique above with a simple straight ruler. 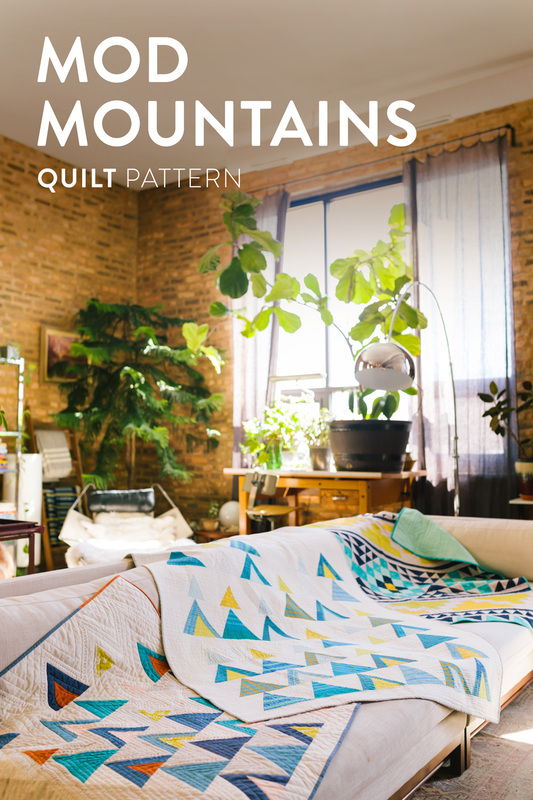 This will be my first quilt along. Very excited about joining. 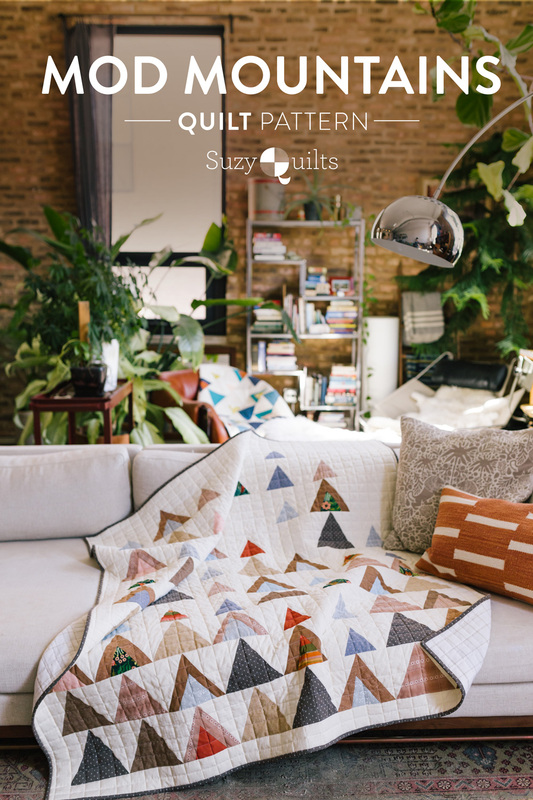 Love this pattern – I’m tempted to join the QAL as my first time doing one. 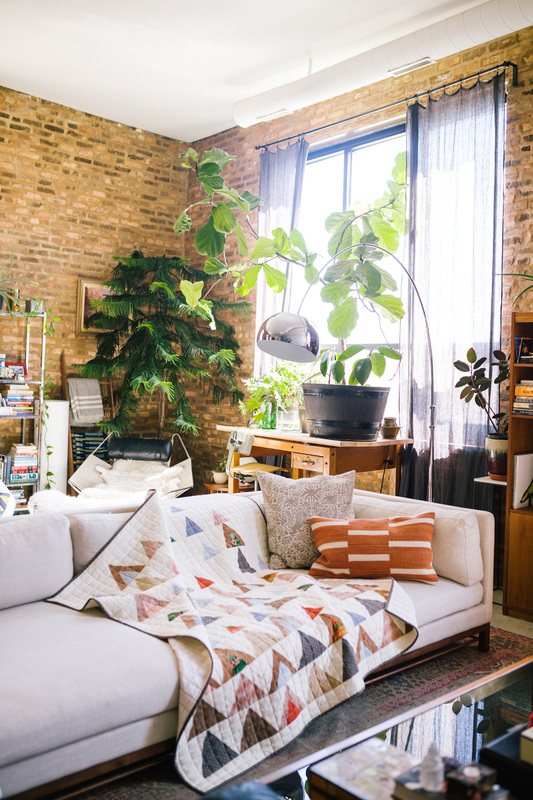 Also is there a pattern for the predominantly blue and white HST quilt folded on the chair in the background of that last photo? Thanks and love your blog. 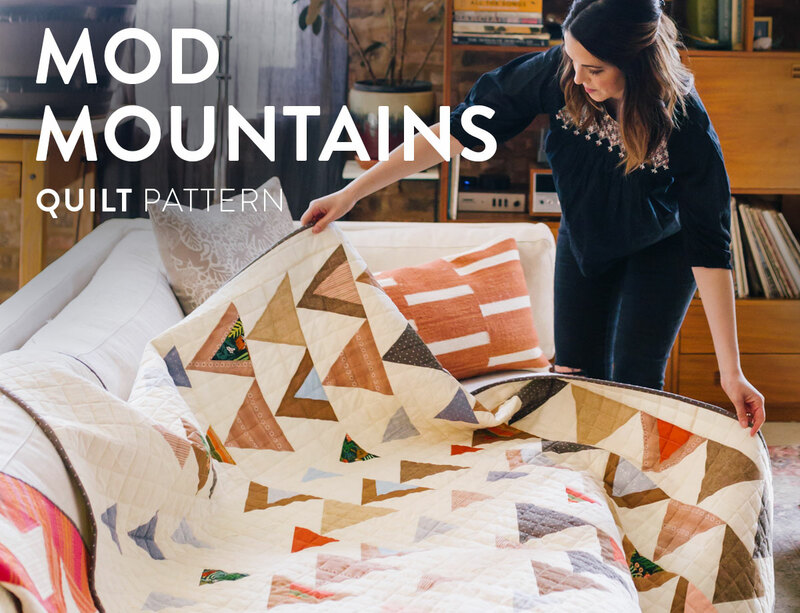 That actually is the baby version of the Mod Mountains quilt. You can see more pics of it laid out in this post. I’m so sorry, I didn’t do a good job with my question. 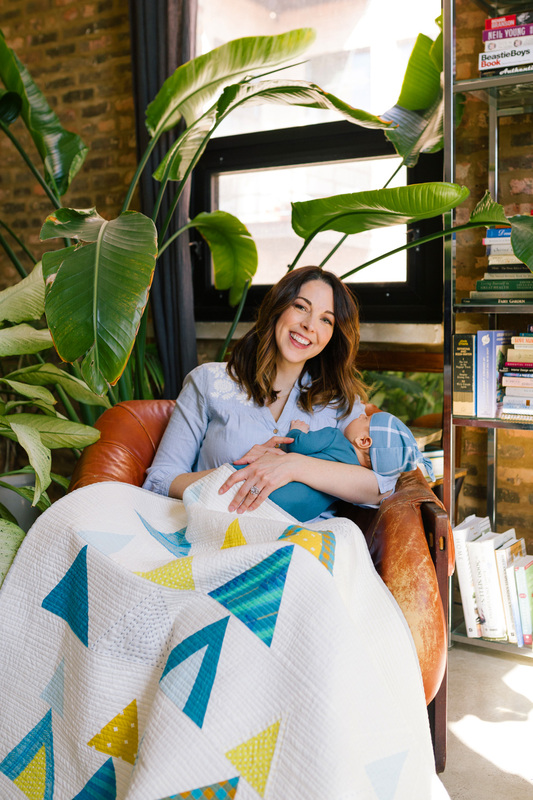 The blue and white quilt I’m asking about is in the photo that says “Get This Free Bows and Arrows Quilt Pattern.” It’s draped over the chair in the background to the left. Do you have the “color your own” page for the queen-sized? Feeling scared about going so big without a plan 😬. Thanks! !